Shridevi T N Post Graduate Scholar, Department of Ayurveda Samhitha & Siddhanta, Government Ayurveda Medical College, Mysore, Karnataka, INDIA. Shreevathsa . Professor & HOD, Department of Ayurveda Samhitha & Siddhanta, Government Ayurveda Medical College, Mysore, Karnataka, INDIA. The menstrual cycle is the cyclical events that occur in the endometrium of uterus to form visible flow of menstrual blood every month. The Artava Pravritti is the menstrual flow which is said to be three to five days as per Ayurveda. The Ritukala is the fertile period of woman’s endometrial cycle. The different phases of menstrual cycle in the contemporary science need to be studied in Ayurveda for similarities if any. The present paper emphasises on the study of day, duration and events of phases of menstrual cycle in Ayurveda with that of contemporary science. N, Shridevi T; ., Shreevathsa. PHASES OF MENSTRUAL CYCLE : THE AYURVEDA PERSPECTIVE. 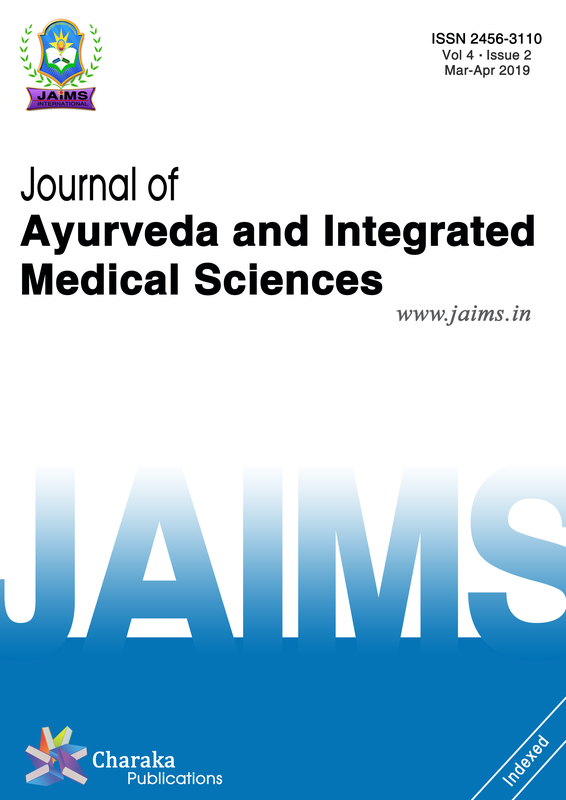 Journal of Ayurveda and Integrated Medical Sciences (ISSN 2456-3110), http://www.jaims.in/index.php/jaims/pages/view/Citation, v. 3, n. 5, p. 174 - 177, oct. 2018. ISSN 2456-3110. Available at: <https://jaims.in/index.php/jaims/article/view/695>. Date accessed: 25 apr. 2019. doi: https://doi.org/10.21760/jaims.v3i5.13839.